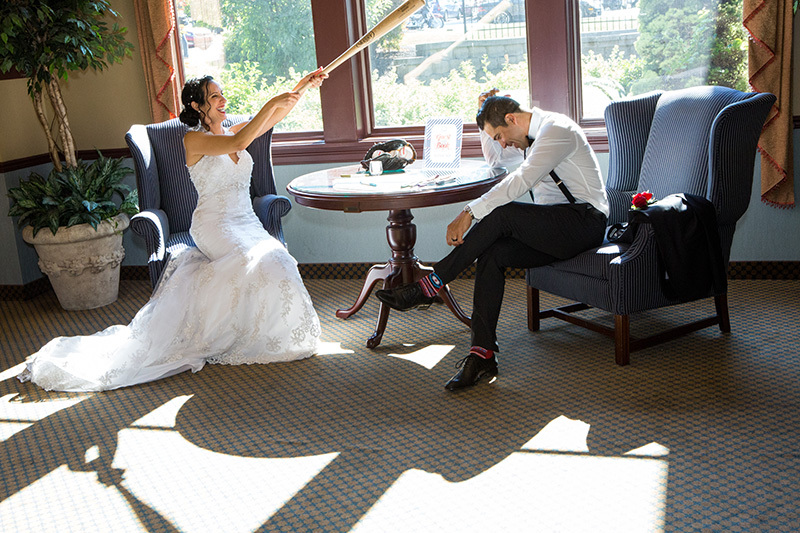 Beautiful Bride, Her Beau, and Baby Boxers in Clarence, NY! 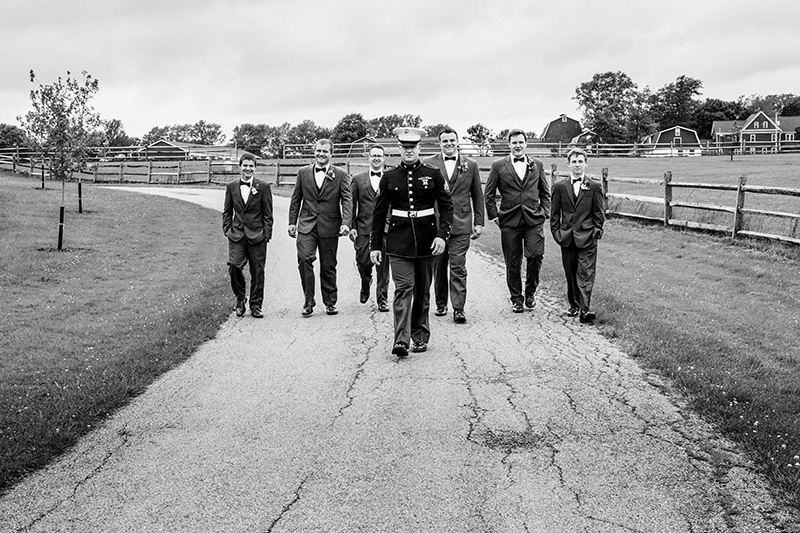 We had the honor of capturing Kylie and Ben’s wedding day in Clarence, NY. This was an easy shoot for me as the wedding took place right down the street from where I live at Brookfield Country Club! (I don’t live at the country club, it’s close to my home – you know what I’m saying) Anyway, I’m not going to lie, it was a hot day. Hottest of the year in fact but there was a steady breeze to help cool things down. The bridal party didn’t mind one bit. They were awesome! 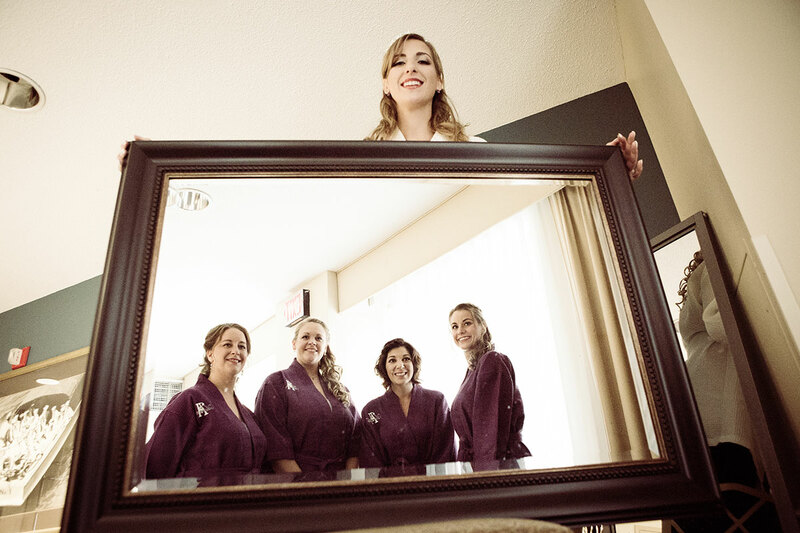 We first got video of Ben and his groomsmen getting ready in the Greer Room. I wasn’t allowed in the ladies locker room, for obvious reasons, so fortunately I had an awesome assistant! Ben’s sister Jill used my GoPro and captured some amazing shots of Kylie getting ready. Thank you Jill! Then it was time for the first look. You could tell Ben was a little nervous but he stayed composed. Kylie came out and looked A-MAZE-ING. Ben was stunned. They had a special moment together and we captured it on video. There with them for the moment, their two boxers! Awesome dogs! The ceremony was beautiful. Again, Ben stayed composed as Kylie came down the aisle. All the groomsmen and bridesmaids looked great too. It was hot but it didn’t seem like anyone noticed. The reception was a blast. I am here to tell you, the fathers gave two of the best speeches of the year. 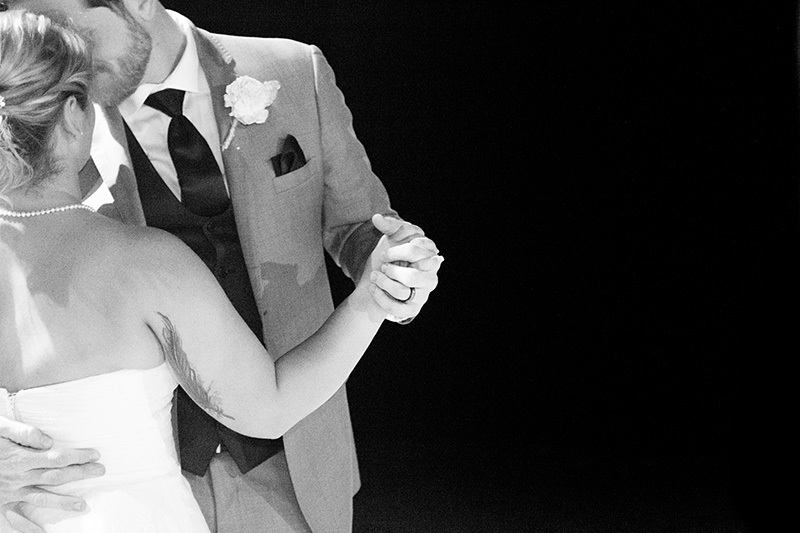 Actually, they gave two of the best speeches since I started shooting weddings. Ben’s dad was HILL LARRY US. Kylie’s dad was right there with him in the funny scale. They also shared some heartfelt sentiments that had everyone tearing up. The dancing was great. The DJ Saxman Slim owned by Stephen Rosenthal, who plays the saxophone professionally (hence “Saxman), was awesome. He really kept the party going. Everyone was having a great time. They had a Photo Booth that was never empty, a super tasty desert table, and they wrapped up the night with a super-awesome fireworks display. They really rocked this reception. Definitely check out the video! Check out the highlights here! Of course, I was determined to outshine this “other person” and win them over! As we sat at Spot Coffee on Elmwood Avenue in Buffalo, NY, Vanessa asked me if I turn over the raw video of the day. I said, “absolutely!” We turn over all our unedited video (that’s the term I like to use, raw seems so harsh!) Vanessa asked me if I could show her a sample. Now this next party is crazy! I told them that was Jamie, a videographer I work with when I have a two videographer shoot. “That’s the guy we interviewed with last week!” Vanessa said with some confusion! Of all the unedited video I have, I might have one minute of Jamie on camera in the background. What are the chances?! Feeling a little awkward, I explained that in the world of wedding photography, photographers and videographers often work together despite having separate companies. As a result, Vanessa and Brad booked us, I hired Jamie as a second videographer to get the GoPro video and work with Badger, and I was sure to give them a good rate to make it a perfect match. The day finally came, and let me tell you, it was perfect. The forecast called for rain all day, but instead, it was cloudy with some sprinkles, and halfway through the day the sun came out off and on. It was perfect for photography. Sun can really mess with a camera lens. First, we got amazing video of Vanessa getting ready, I went to Salty Dog barber shop in downtown Buffalo (really a cool place complete with a juke box and pool table) to capture video of Brad getting ready. Before the ceremony, we had a GoPro on Badger to get a cool doggie view of guests arriving. The ceremony itself was stunning. 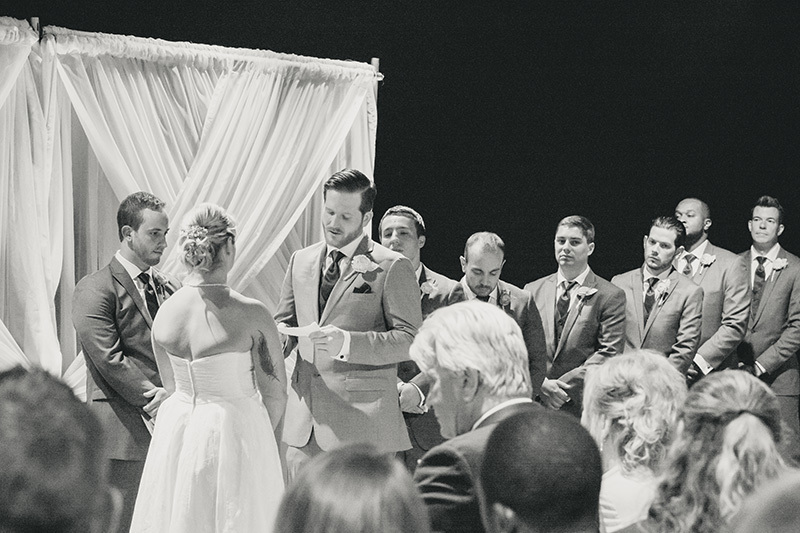 We got an amazing shot of Vanessa coming down the aisle with special music being performed by a family friend. Brad looked very handsome! It was then off to take some photos at Delaware Park. Any of us who have been married know posing for photos gets tiring. It was a tad on the warm side so that makes it even tougher. 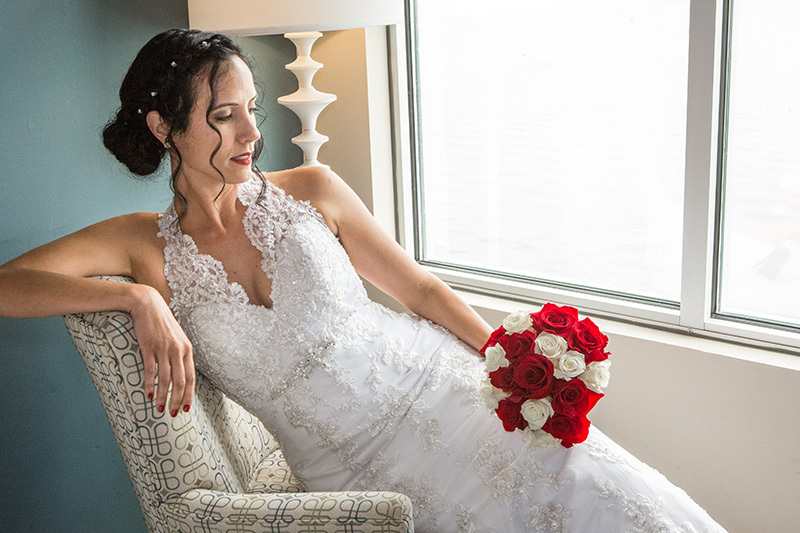 Vanessa and Brad continued to be fun, vibrant, and very accommodating the entire time! After getting video at the park, it was off to the reception in Lockport. The party was held at the Locks and Canal Boat Cruise banquet hall. The entire bridal party got to get a tour on a couple paddle boats. It was really awesome and we got some great video. The reception was a fantastic party. The bridal party entrance was so much fun! Vanessa and Brad had so much fun with family and friends. You can see some of the highlights right here! 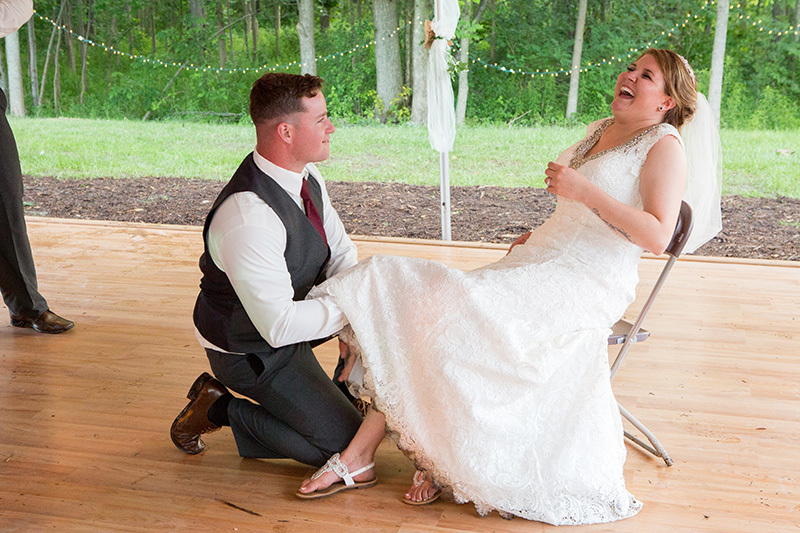 Amanda and Steven were married in West Seneca on May 19, 2018. Despite a little rain, the day was really amazing. Amanda looked so beautiful in her dress and Steven was very handsome. The ceremony was attended by about 100 friends and family. 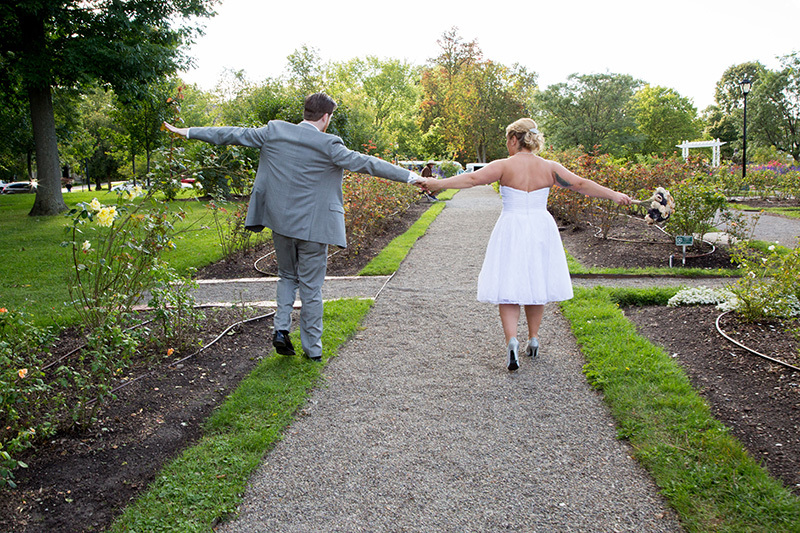 After the ceremony, with the weather cleared up, Amanda and Steven had their pictures taken in Stiglmeier Park in Cheektowaga. We captured some amazing video there. Then the newlyweds had a wonderful reception at Kloc’s Grove Garden Pavilion back in West Seneca. One of the more memorable moments we captured with video is when Amanda started to get emotional as she got ready. Her loving dad was there for her. It was truly a special moment. Amanda’s bridesmaids looked gorgeous in their light blue dresses. Steven’s guys looked amazing too. 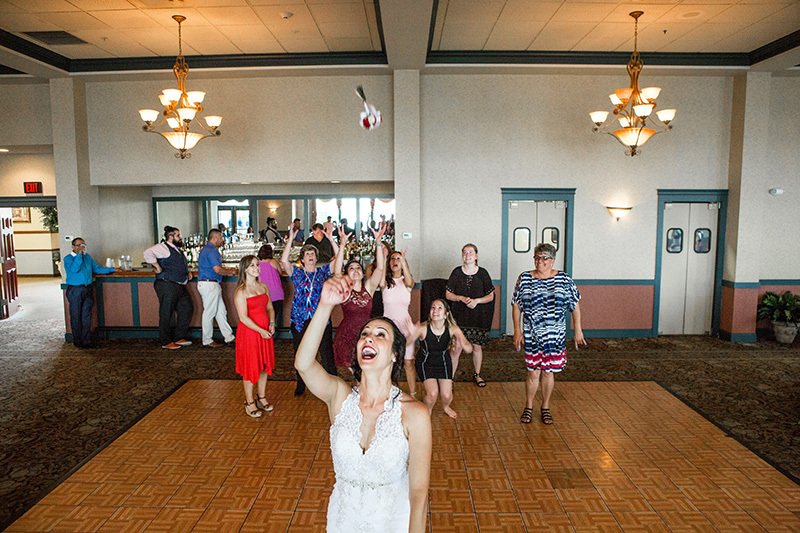 There’s only one thing I don’t understand, why didn’t any of the single ladies try to catch the bouquet? Amanda was a bit confused too! Check out the highlights here! 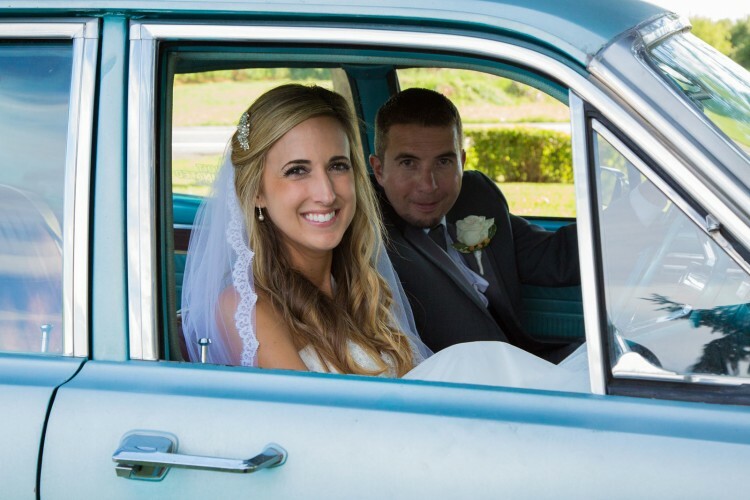 Katlyn and Michael were married in East Aurora. They had an amazing wedding day. It started with getting some nice video of the girls getting ready at Corto’s Salon in Hamburg. The energy just kept building from there! Then we went back to Katlyn’s mother’s house where she put on her dress. A great moment is when she walked out onto the back deck for her father’s first look. She then did the same for her step-father. It was a very touching moment! We also got some great shots of the guys getting ready. A funny moment is when they try to properly fold their handkerchiefs and work the cuff links on their tuxedos. Talk about stress! Then it was off to Crossroads Christian Church in East Aurora for the ceremony. Michael was composed but a bit nervous as Katlyn came down the aisle. After the ceremony the couple was greeted by bubbles outside the church. Off to the reception we went at Michael’s in Hamburg where family and friends had a wonderful party to celebrate Katlyn and Michael’s big day. The speeches were wonderful, and we got amazing video of the cake cutting, bouquet toss, and all the dancing. Overall, it was a fantastic day! Check out the highlights here! 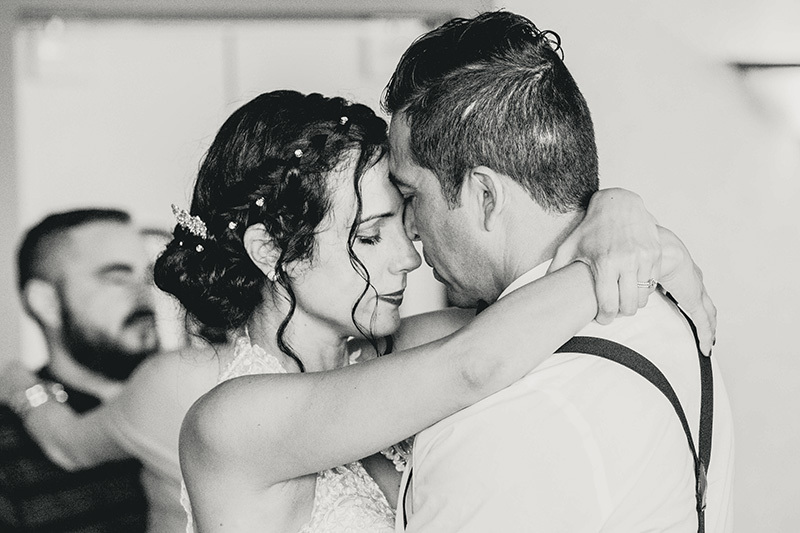 Sophia and Derrick’s love story started when they met in college! 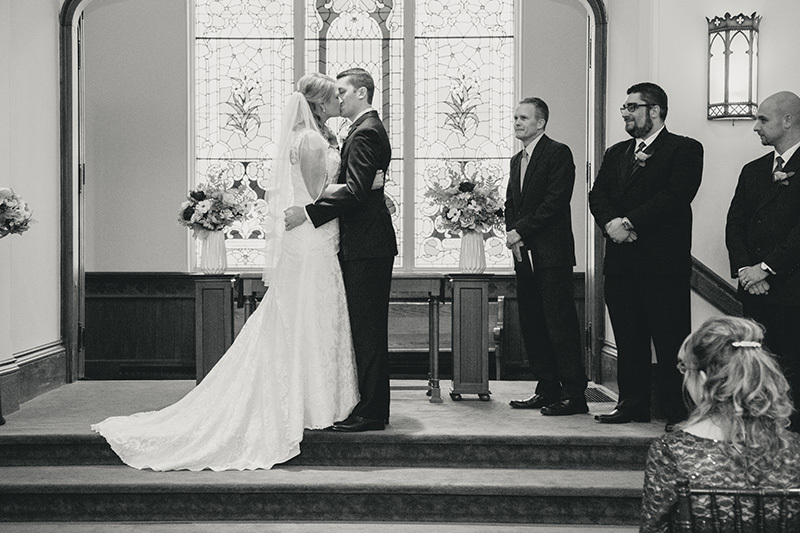 It took them to this day, a beautiful wedding in Buffalo at the lofts on Pearl Street with a gorgeous wedding ceremony at Trinity Episcopal Church on Delaware Avenue. The weather was absolutely perfect! Family and friends surrounded this amazing couple with love and laughter all day long! My limo ride with them from place to place was a blast! One of the things I will remember from this day is how much laughing there was! Special thanks to the maid of honor! She was the best I’ve ever seen! She was always helping! 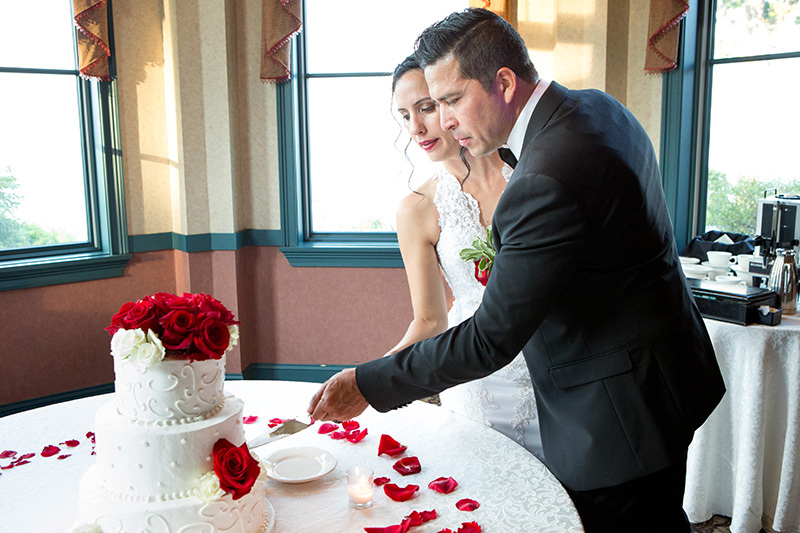 Selina and Victor had a very lovely, intimate, and romantic morning wedding in Canandaigua, New York on May 28. They were such a lovely couple, smiling all the time. The weather was perfect as they said their vows both in Chinese and English for family and friends gathered for their amazing day. They then had a very nice reception where they had amazing asian food and a very delicious wedding cake. Selina was absolutely stunning in her dress while Victor was very handsome. It was an honor to capture their day. 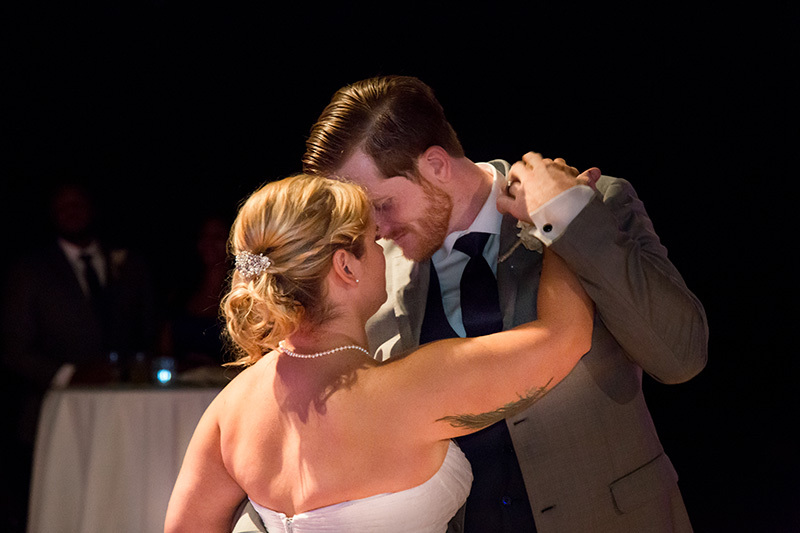 Eliecia and I had an amazing time capturing the wedding of Emily and Josh on May 27 with both photography and video. This was such a fun wedding day! They were married at Rapids Bible Church in Lockport, New York and then they had a fun reception in Newfane. Before the ceremony started, they got to see their proposal video played on the screen. It was so funny yet romantic! The reception was a blast. One highlight was when about six of Josh’s fellow coworkers tackled him on the dance floor! We got amazing photos and video of the entire day.